Learn to harness your creativity and push the boundaries of games making in Pulse Colleges Game Development and Production course. This course gives a well-rounded education in the arts with an emphasis on understanding and applying techniques including 3D modelling, animation, and lightning in video game production. 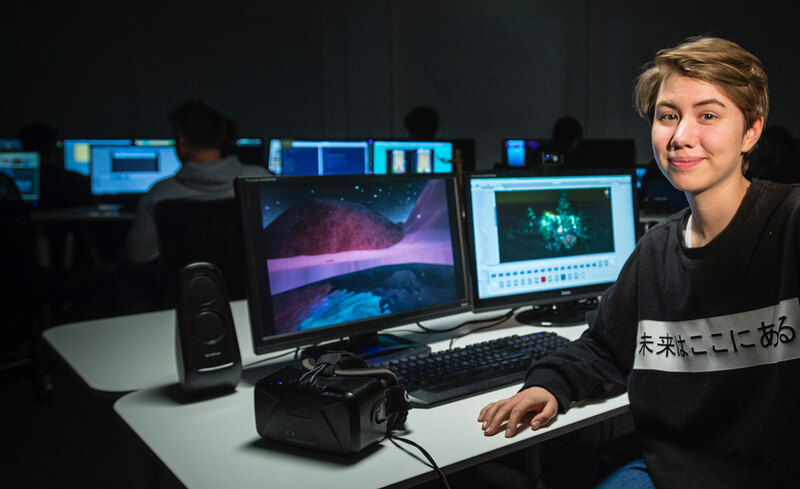 Students graduate with a solid grasp of the fundamental game art principles, including knowledge of game engine technology and pre-production and production environments taught. Developed for creative and technically minded people with a desire to become a key part of the games industry. If you have a passion for digital games, Pulse College can help you develop the skills required to enter this innovative sector through practical experience and building your own unique portfolio. Taught by practicing industry professionals, Pulse College ensures that you receive the very highest levels of learning. Learn to make the games that you’d want to play.A key part of the course involves the continual development of a portfolio of work that will help you enter the exciting and rapidly developing games and technology industry. In this module learners are introduced to game development through a series of modular exercises, each delivering a key piece of learning that can be redeveloped for use in a variety of game scenarios. The learner will be led through the first semester, rapidly building predefined and themed game prototypes all the while building the skills necessary to tackle larger game projects. The module introduces core programming principles and basic elements of game engines, developing knowledge of the core principles of programming interactivity through object-oriented programming techniques using visual scripting tools and hand-coded scripting languages. This module will focus on developing the student’s knowledge of 2D art. Students will learn how to progress Concept art into final assets for use as backgrounds, props, UI elements and animations within game engines. Through lectures, students will be introduced to the use of 2D art and animation assets within games and the creative process required to make them. The lectures will be mainly focused practical classes to increase the students understanding of the concepts behind 2D art and allow them to practice their application. This hands-on approach will give an insight into the technical challenges and an understanding of the processes involved in industry standard game development. In this module students will utilize user experience tools in the analysis and development of gameplay scenarios. Learners will create digital prototypes of game interfaces as well as identifying how aspects such as control, context and polish can affect the user experience. Learners will develop an understanding of how players interact with the game world through both graphical and physical user interfaces to create natural game controls and clear designs. This class aims to prepare students with the prerequisite skills required to produce and prepare 3D assets for real-time rendering and animation within a 3D game engine. Learners will be introduced to 3D modelling, basic level design and texturing principles, granting learners the freedom to create an open environment. Learners will develop an understanding of 3D principles of modelling and video game aesthetics while exploring the creation of 3D models specifically designed for integration into a game engine. This class will focus on developing awareness of 3D forms in digital media through the creation of 3D assets. Learners will also learn to navigate and use industry standard software and the workflows required to create industry standard game assets. Animation provides a sense of immersion while giving players feedback about the state of the game. Learners will create animation assets for 3D games. Topics covered range from basic animation to importing each student’s animation into an existing game engine. Learners will learn to navigate and use industry standard software and the workflows required to create industry standard animations. Further building on the skills developed in Game Development and Programming 1, this module is to rapidly introduce the learner to game development and programming skills with a primary focus on production of the final game portfolio show piece. In this course, learners develop programming techniques and skills utilizing programming languages in common used by game developers and interactive designers. Learners will gain understanding of computer science concepts, awareness of different types of computer languages, use of a program development environment, understanding of control structures, data structures, program logic, problem-solving and object-oriented programming methodologies. Further building on the skills developed in 2D Game Art for Games 1, this module will further developing the student’s knowledge of 2D art. Students will learn how to progress Concept art into final assets for use as backgrounds, props, UI elements and animations within game engines. 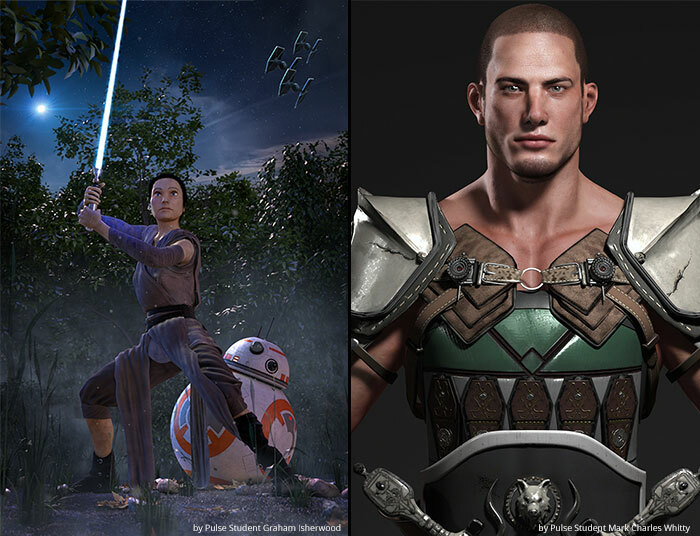 As the visual quality and expectations of digital games increase, so does the need for higher quality art content as well as cohesive and consistent art direction. By focusing on issues such as next generation digital content creation, art direction methodologies, visual complexity and modularity, students design and create visually effective and highly detailed runtime environments utilizing next generation workflows and pipelines. This module will familiarise the learner to the fundamental concepts of game design and how they are employed in the design of Levels. 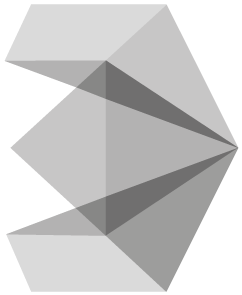 This objective is met by first looking at previous games and their design choices and secondly by using this knowledge in the design of current game prototypes. Over the semester, the learner will evaluate several games and repetitively examine and recreate the mechanics, dynamics and aesthetics found within. The main outcome will be a concept document outlying the narrative and plan for a main game project. Working in development teams, learners will get practical experience of the collaborative nature of the game development industry through the creation of a narrative focused game. This module will involve the development of a game project from initial brief to working prototype using industry standard workflows and methodologies. This module will help learners develop best practises in creating a Game Design Documents and Pitch Presentation for their projects. Students will develop skills in narrative development, dialogue creation, communication, teamwork, project planning, scope and game development through the creation of a unique game concept. The skills gained through this course will allow you to move into a variety of careers within the games industries, as well as to progress to further study. At the end of the programme, you will have built up an extensive portfolio demonstrating technical, artistic and professional abilities, giving you the cutting edge needed to gain employment in this exciting and varied industry. This course is a direct application course and includes an interview. Applications are currently taken through the Application Form below. Upon receiving your application form our Admissions Team will contact you to schedule your course interview. The programme is designed for all ages (over 17 years of age) and skill levels, whether you are new to the industry, looking to up-skill, or wanting to learn new skills and enhance your career options within the film industry. No industry experience is required and applicants may be accepted without formal academic qualifications. Celebrate your achievements in learning with approved digital badges. Learners can share their credentials across a variety of social media platforms, with contacts, and the greater community enhancing their professional profile. Digital badges are a powerful new tool for identifying and validating the rich array of people’s skills, knowledge, accomplishments, and competencies defined and awarded to learners from recognised Issuers. Each badge is a digital representation of skill, learning achievement or experience, associated with an image and metadata. The metadata provides information about what the badge represents and the evidence used to support it. This allows digital badges to inspire new pathways to learning and connect learners to opportunities, resources, and one another. Your Badges will demonstrate to prospective employers the skills you demonstrated and achieved throughout your journey at Pulse College.